The Neighborhood Association have been copied on a letter that Verizon Wireless will be applying to co-locate a cellular antenna to a PNM Power Pole at the Heritage Hills Park off of Ventura. These existing Power Poles run just over of the parking area of the park, a small equipment box area will be placed nearby and the cluster attached the Power Pole. This image shows with a red box and red star approximately where the equipment will be placed. A diagram and measurements are available in the PDF attached here: Verizon Heritage Hills Park (PDF). 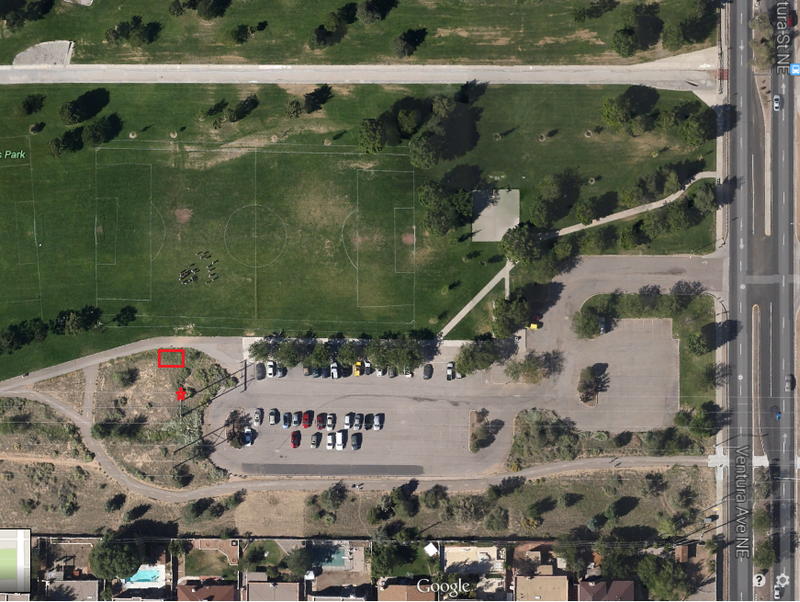 This entry was posted in Cell Tower, Zoning and tagged Albuquerque, Park, Zoning by Heritage Hills Neighborhood Association. Bookmark the permalink.